I don't know the scale of the model (so don't bother asking). A download of the PNG template for the ship may be found here. Partial photo instructions may be found here. 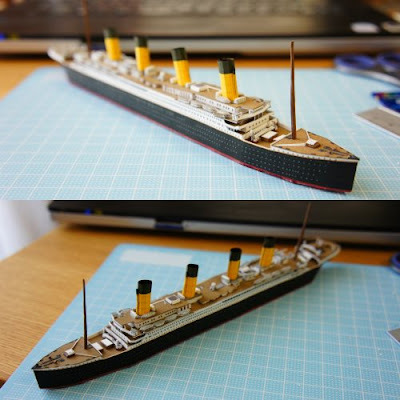 The Titanic sank on her maiden voyage in 1912. 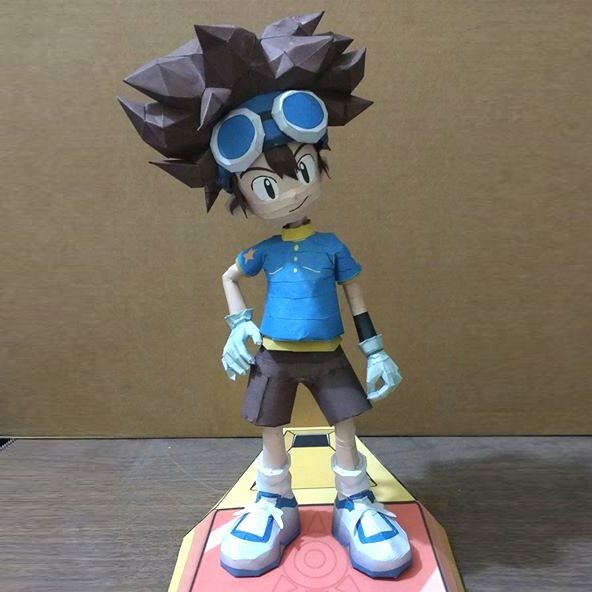 This paper model of Tai Kamiya is based on a 3D model from the 2013 PSP game, Digimon Adventure. Tai is the main protagonist in all branches of the Digimon franchise which includes manga, anime, video games, movies and television shows. 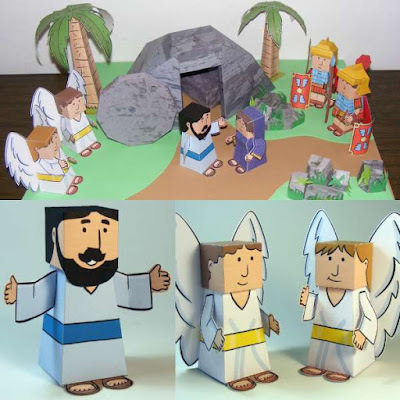 The Pepakura PDO template for this model was created by Carojama Papercraft and may be downloaded here. Please note: the PDO template is locked and may only be opened with Pepakura Viewer. Pepakura Designer will not work! The display base seen in the photo is included with the model. 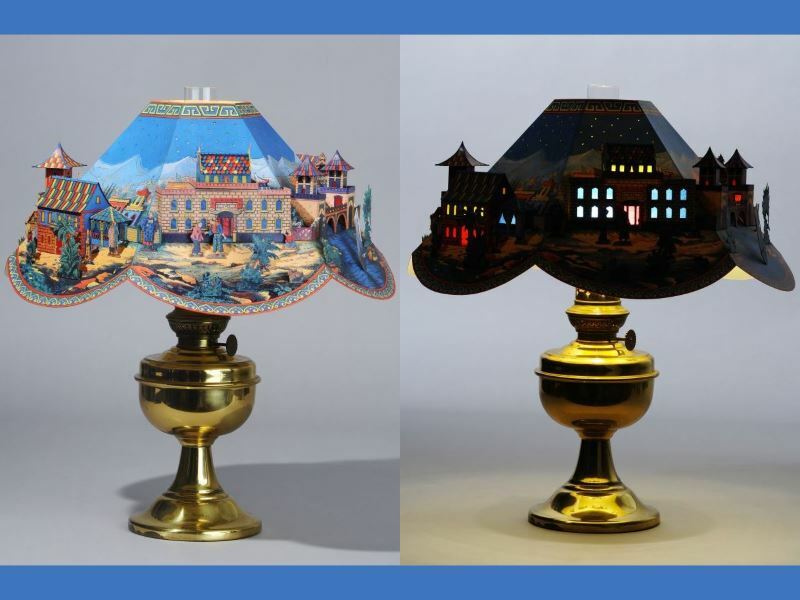 During the late nineteenth century and early twentieth century, paper model publishers sometimes offered lampshade kits for kerosene lamps. These lampshades almost always took the form of 3D papercraft dioramas of exotic locales. The subjects depicted on the paper shades ranged from views of the ancient city of Constantinople to Swiss mountain landscapes to panoramas of the jungles of Asia. The lampshade in the photo was published in Germany around 1905 and is titled "Chinese Landscape". The "lit window" effect seen in the photo can only be achieved by modifying the original template (i.e. cutting out the solid windows and replacing them with a colored, translucent material). The templates for this lampshade and several others may be downloaded here. As common sense would dictate, hot light bulbs and paper shades should not be in close proximity to one another for any extended period of time! Use caution and a very low wattage bulb if you choose to build one of these! In the My Little Pony: Friendship is Magic animated series there is a character known as "Discord". Discord is a male draconequus (literally "dragon horse") who at first antag-onizes the ponies, but later becomes their friend. 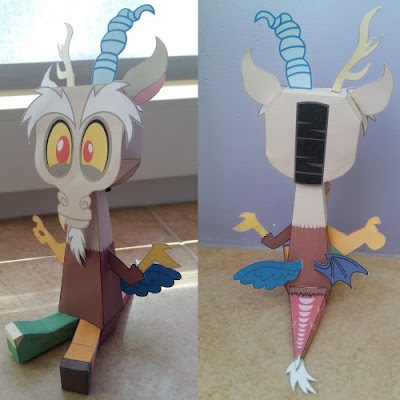 This paper toy likeness of Discord was created by El Joey and may be downloaded here. Dicord is composed of several different mythical creatures. Can you tell what they are? ;) Build photo is by NikitaOwO. 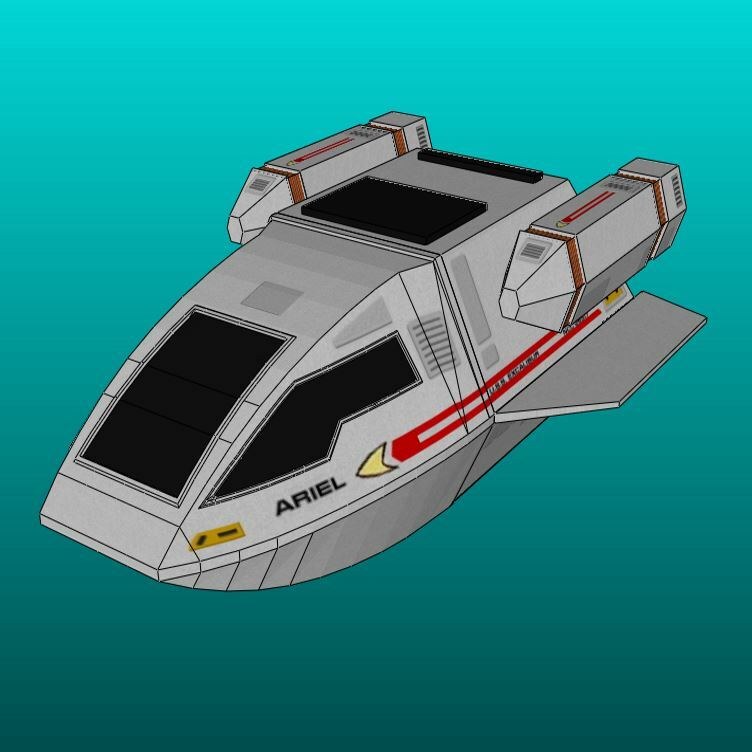 This paper model by MTK Card Craft depicts an aqua-shuttle from the USS Excalibur, an Ambassador-class starship which appeared in several episodes of the Star Trek: The Next Generation television series. An aqua-shuttle, as you might guess, is designed to land and take off on water rather than solid surfaces. PDF and Pepakura PDO templates for the model may be downloaded here.